Small Town America Photographs. 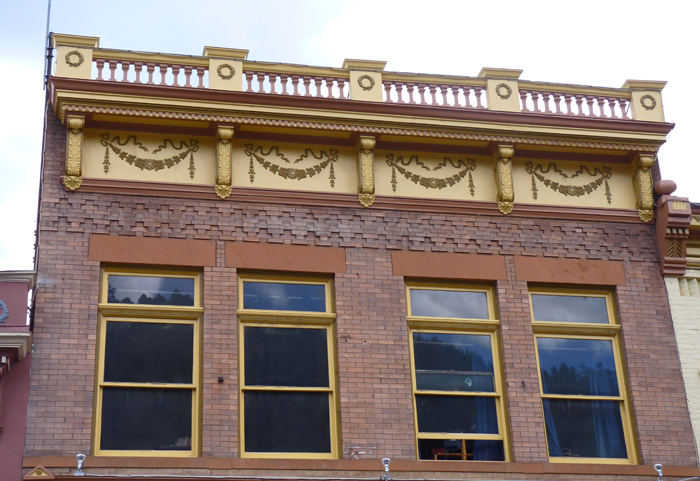 Idaho Springs, Colorado. 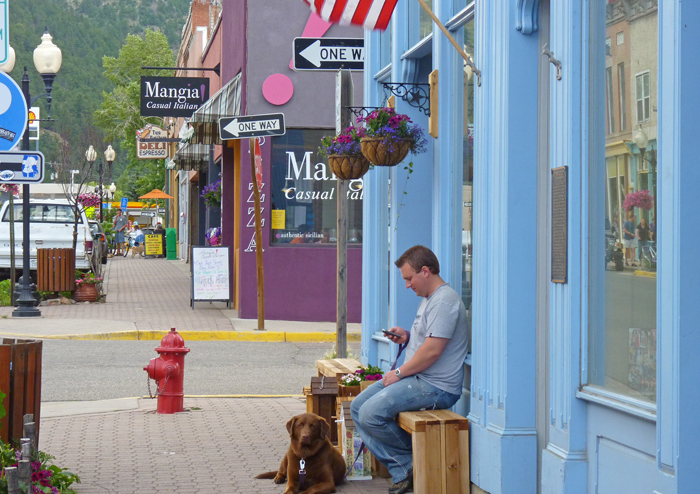 Idaho Springs, Colorado is about halfway across the state, and about one third down, and is in Clear Creek County. 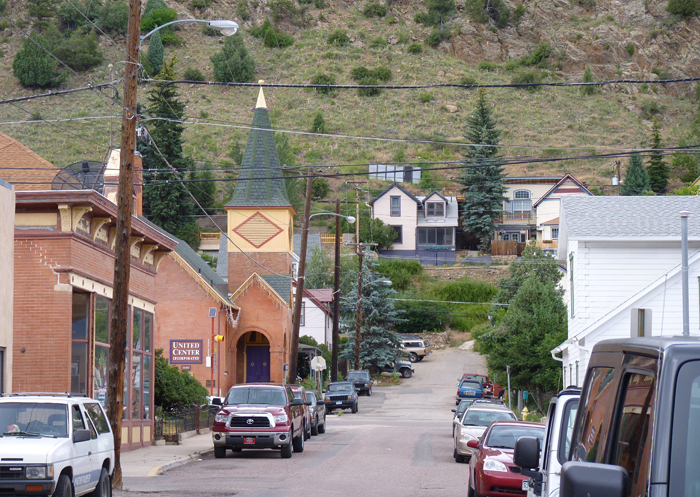 It is located in Clear Creek Canyon, in the mountains, some 30 miles west of Denver. In 2000 the population of the town stood at 1,889. 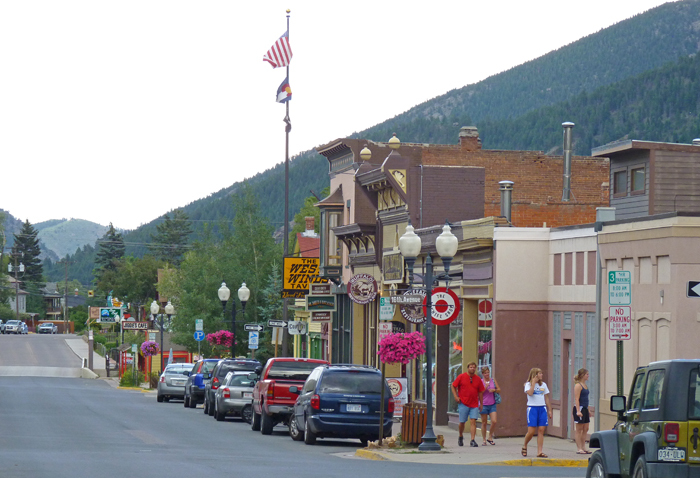 Founded in 1859 by prospectors during the early days of the Pike's Peak Gold Rush, the town was at the center of the region's mining district throughout the late nineteenth century. During the late twentieth century, the town evolved into a tourist center, both for summer hiking and camping, and winter skiing. 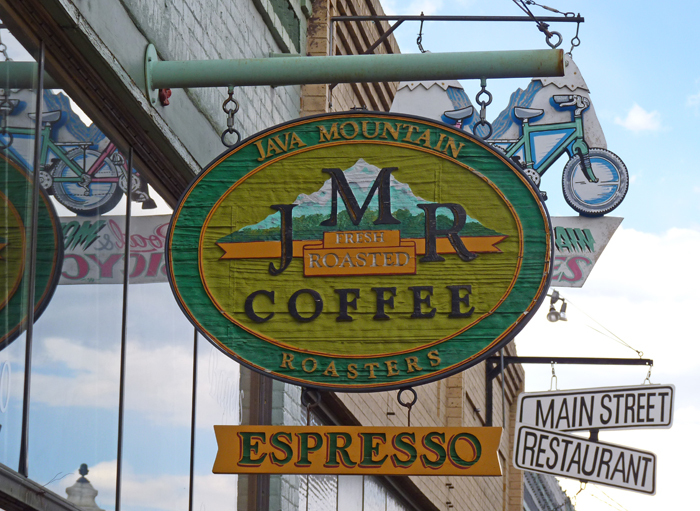 The town today is squeezed along the north side of Interstate 70, with a historical downtown at the western end and a strip of tourist-related businesses on the eastern edge. 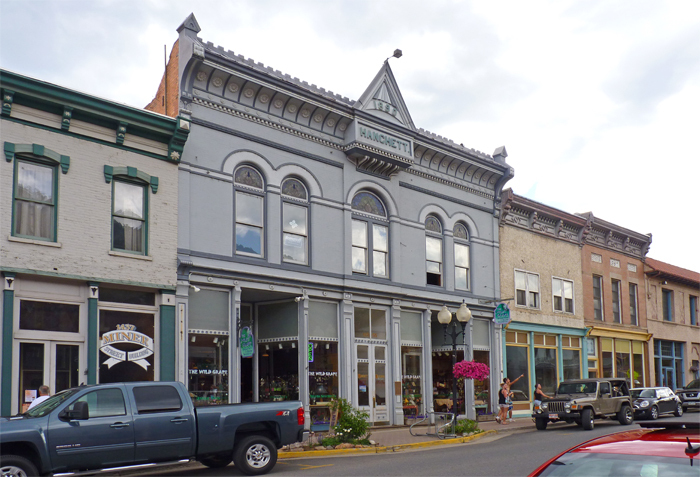 The town is the largest community in Clear Creek County, but, for historical reasons, the county seat has remained at Georgetown. 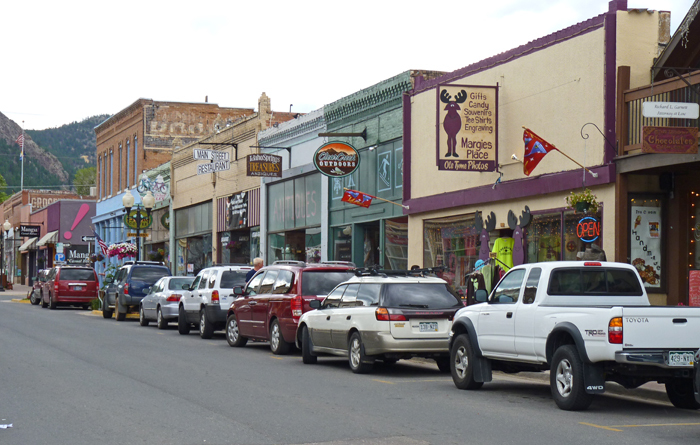 General view of Miner Street, the main Street of town. Looking out of town towards the east. Looking north from Miner Street shows just how close this little town is to the mountains. Well-preserved detail on one of the buildings. 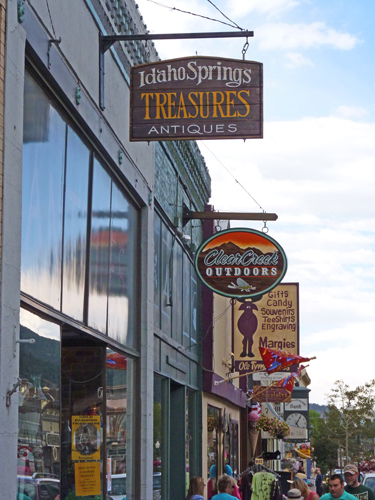 As a year-round tourist centre, the shops on Miner Street are flourishing. 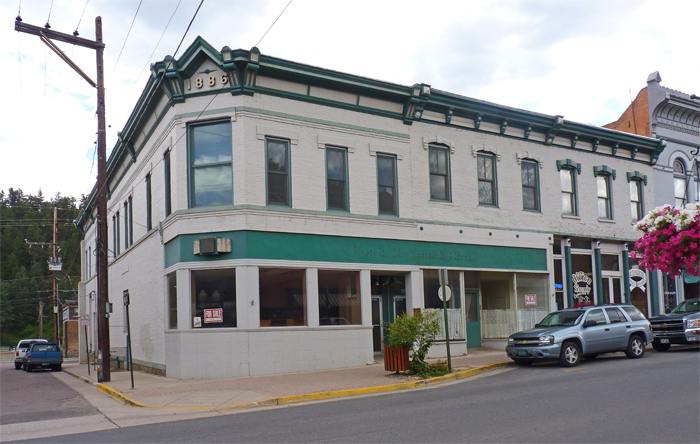 This corner building is dated 1886. 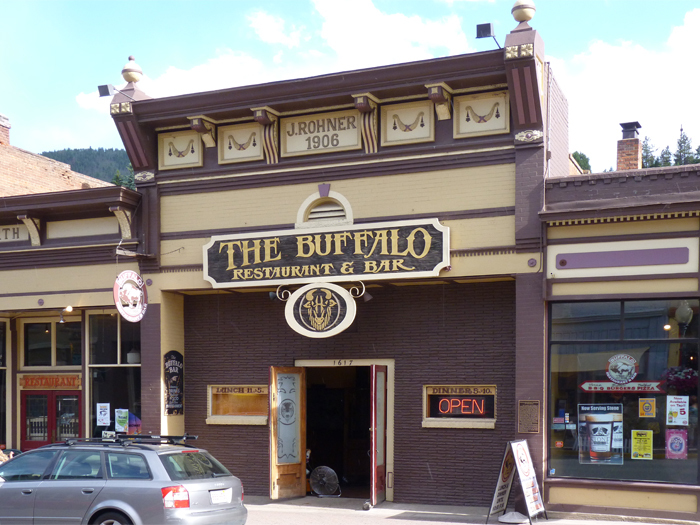 This interesting building was constructed in 1890. 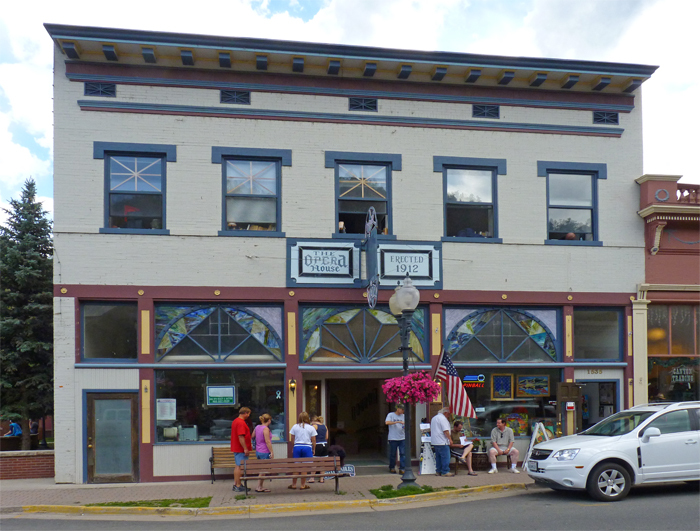 This building is described as The Opera House, dating from 1912. This restaurant is in a building constructed in 1906. This coffee shop roasts the coffee on the premises. 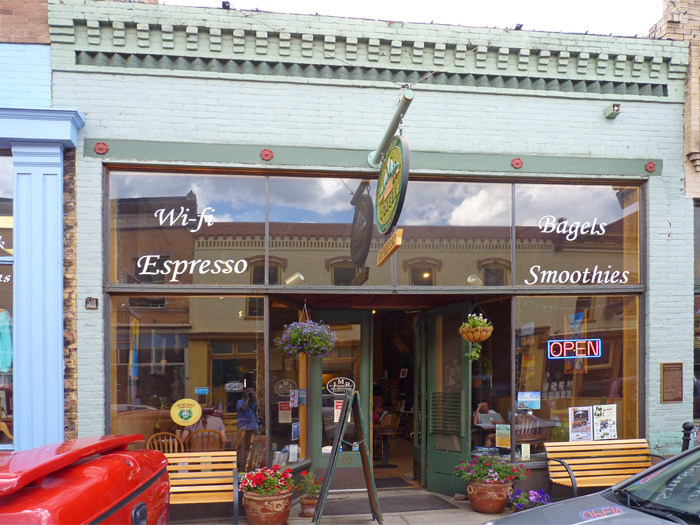 The outside of the same coffee shop shows that the now-obligatory Wi-Fi is available inside. 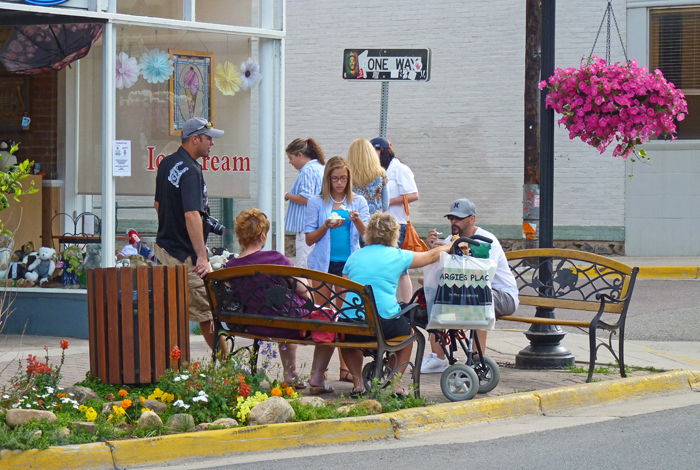 A group of visitors relax with some local ice cream. All the above photographs were taken in July 2010.